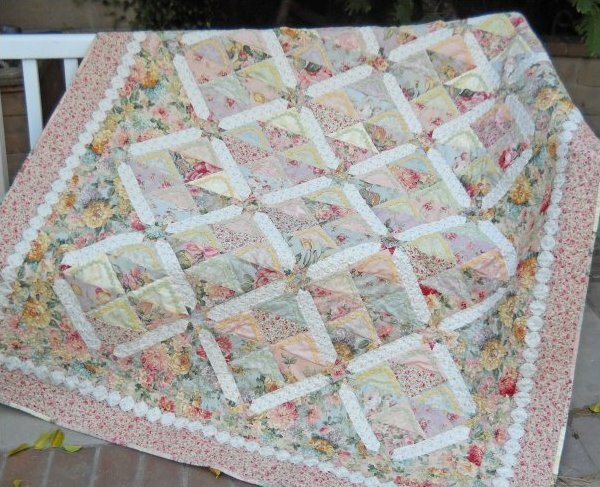 A large lap quilt is easy when using charm squares. Each charm square is folded and tucked in the seams to create a cute little basket - the handle is the finishing touch with small rick rack. Use a collection for ease of color and pattern or just use scraps for a fun, wild look. The pearl border is the perfect finish and very easy to make.